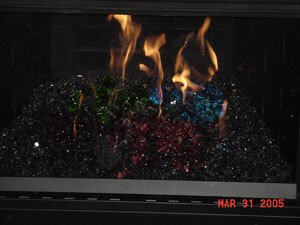 Click Here to see all of our products and pictures! 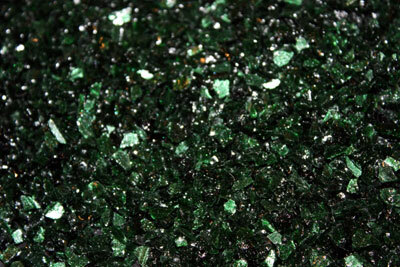 Here are 28 more new and exciting colors to really confuse the issue. 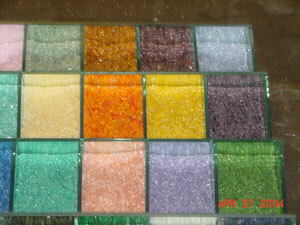 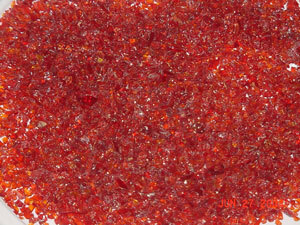 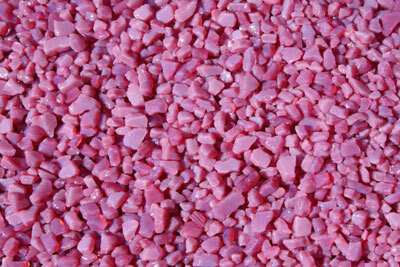 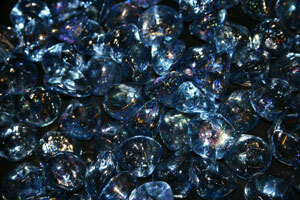 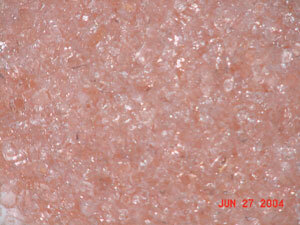 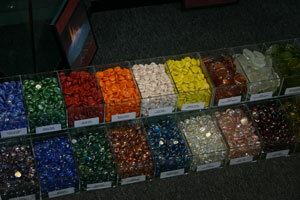 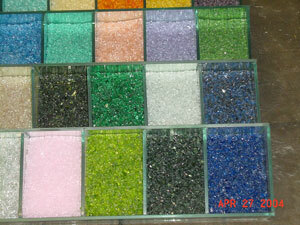 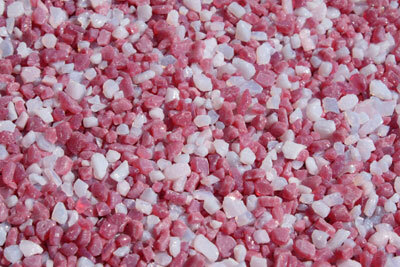 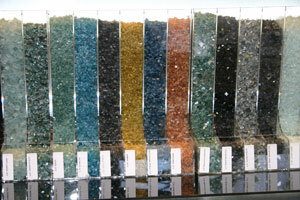 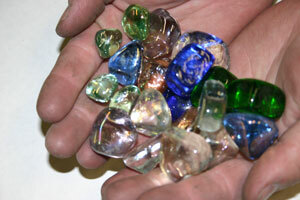 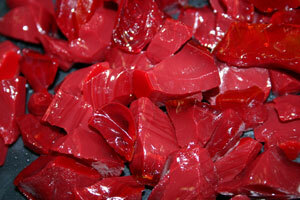 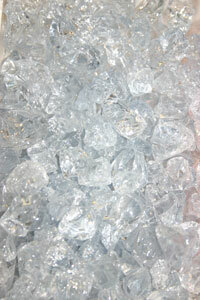 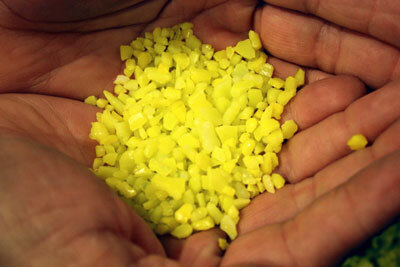 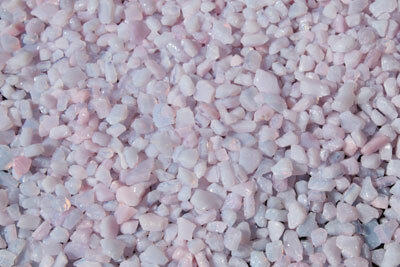 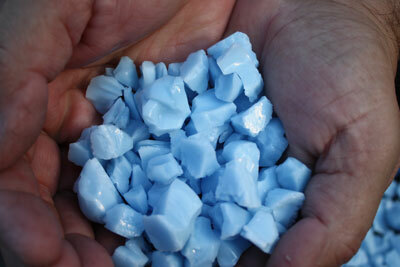 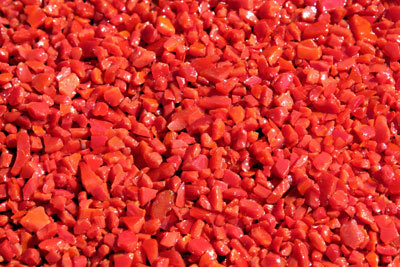 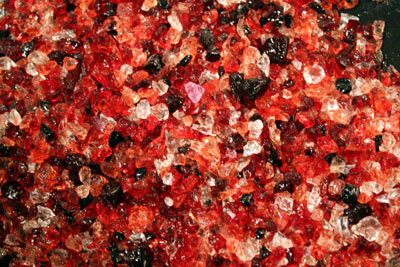 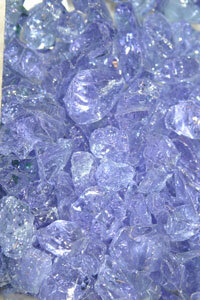 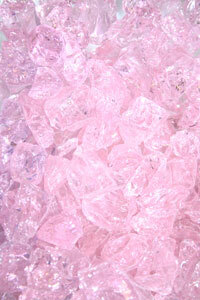 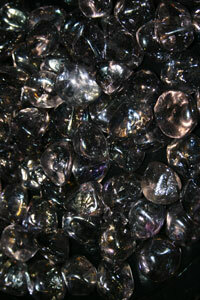 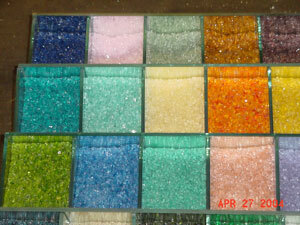 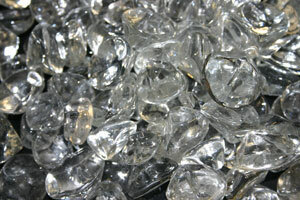 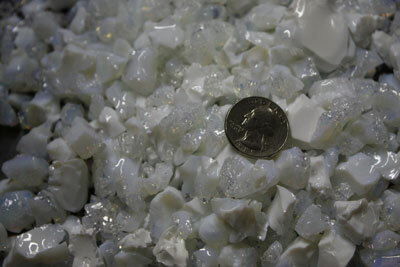 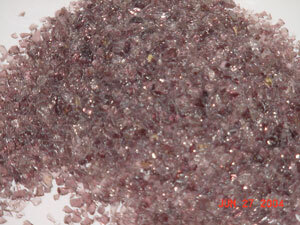 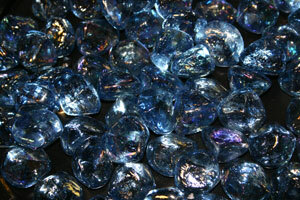 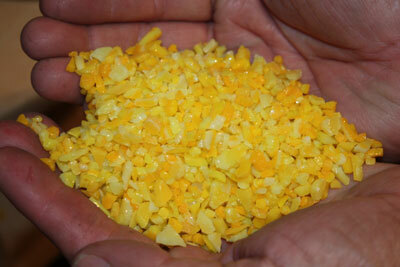 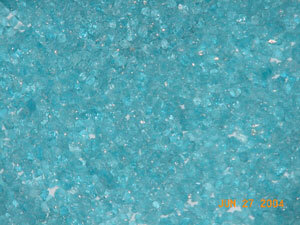 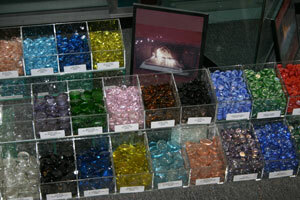 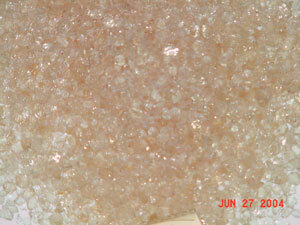 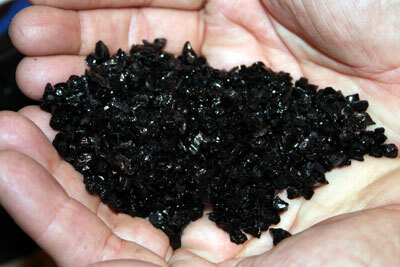 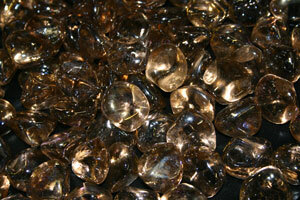 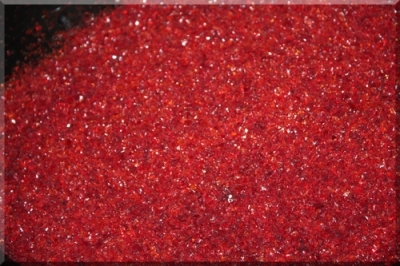 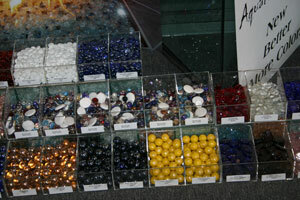 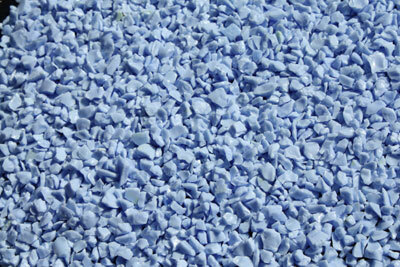 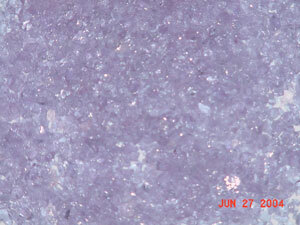 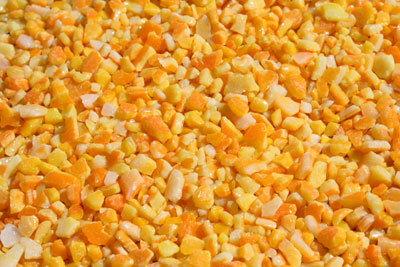 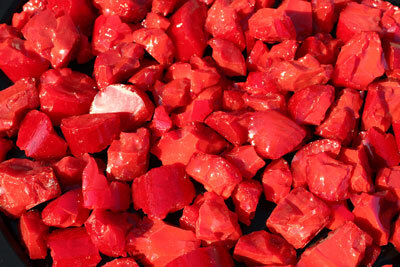 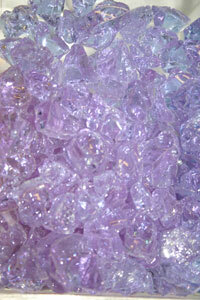 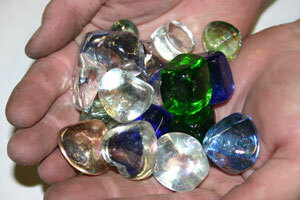 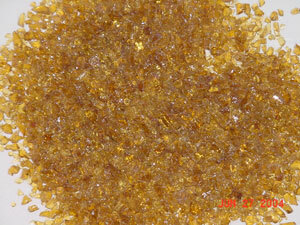 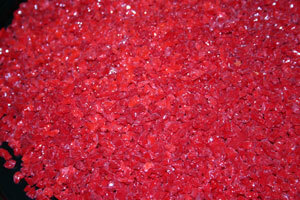 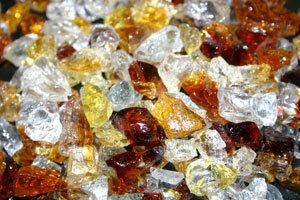 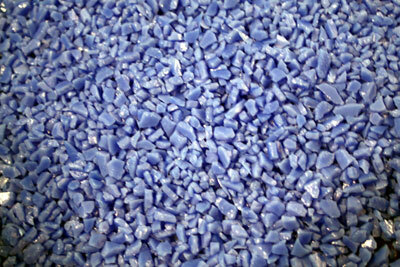 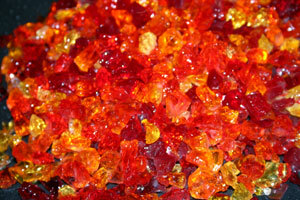 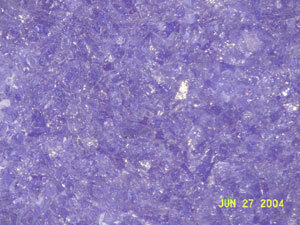 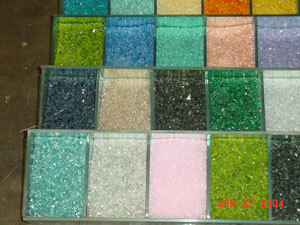 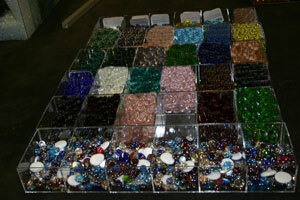 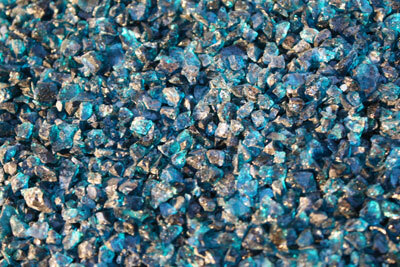 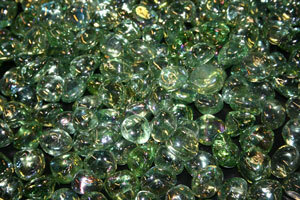 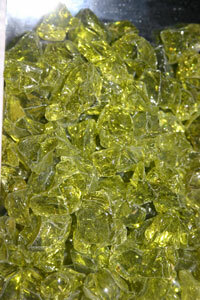 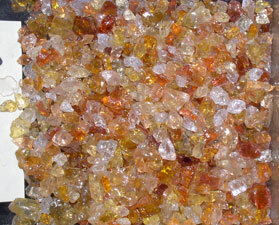 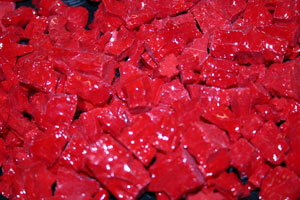 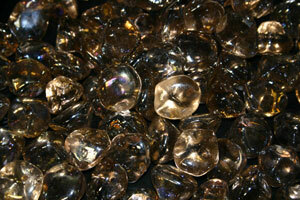 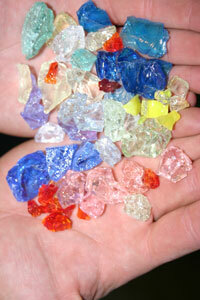 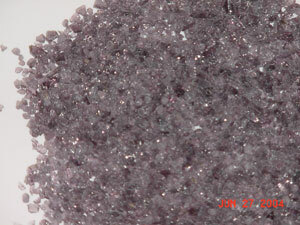 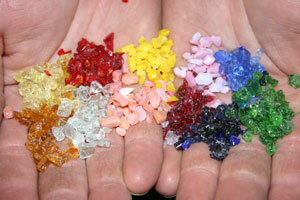 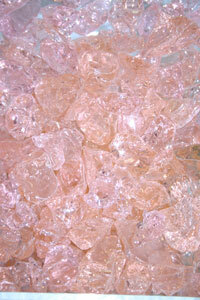 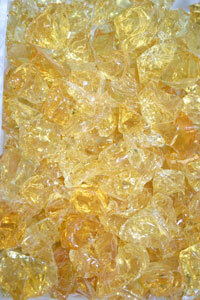 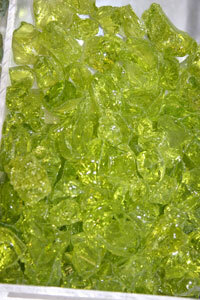 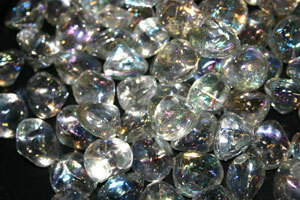 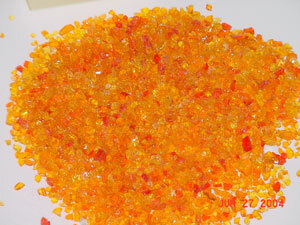 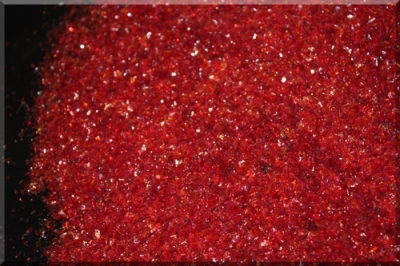 Our Toppings were the first of our new color line and these new stones will be called "Toppers" . 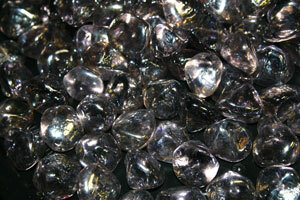 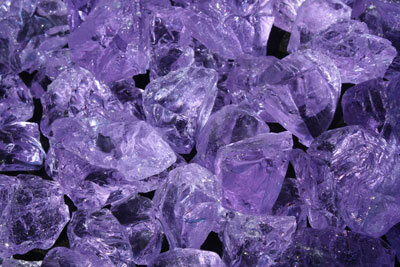 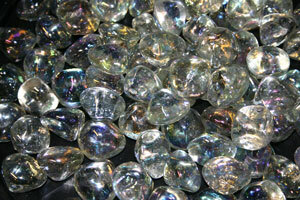 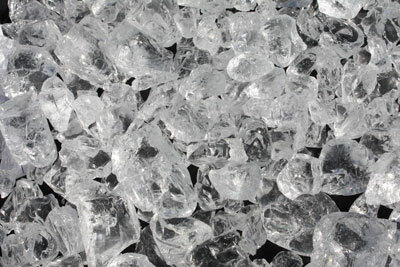 These stones range from 1/4" to 3/4" in size. 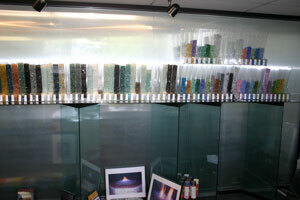 We are now over 500 products and still growing! 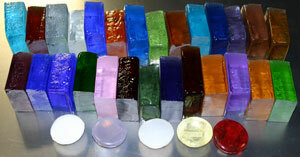 Here is our newest creations and there are 82 more products for now there are over 500 products to choose from! 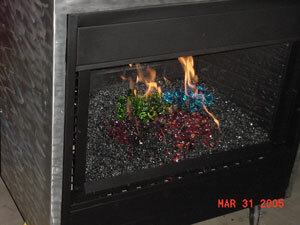 Take a look and let us know what you think. 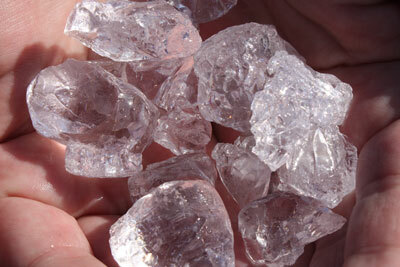 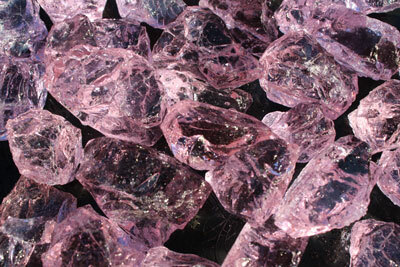 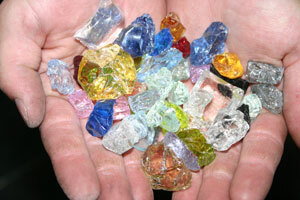 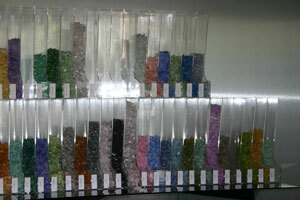 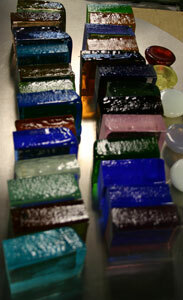 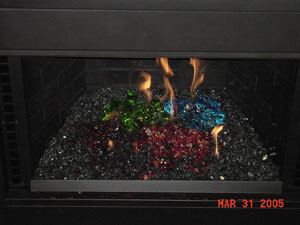 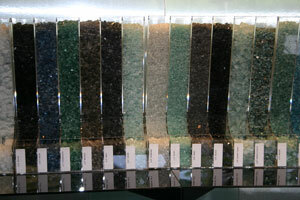 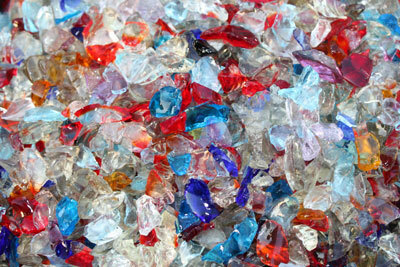 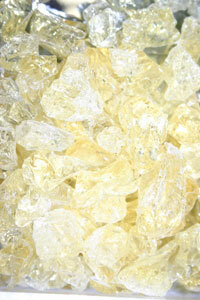 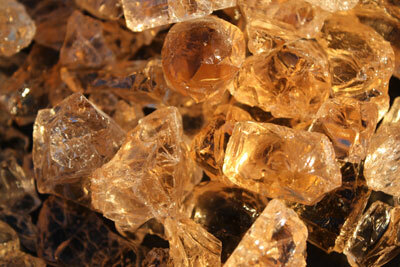 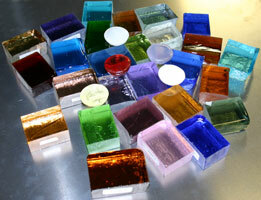 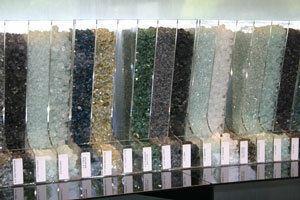 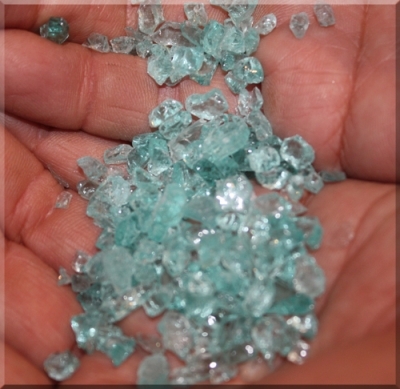 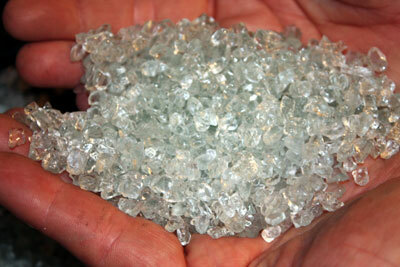 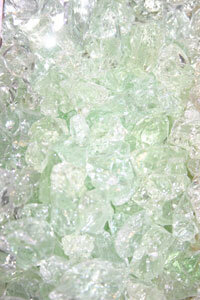 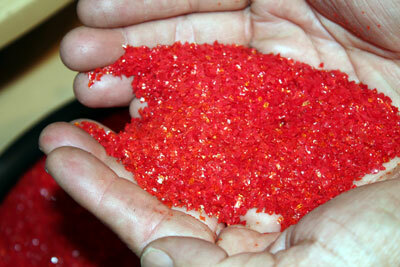 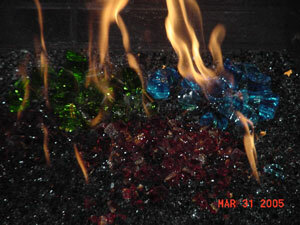 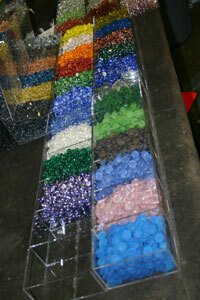 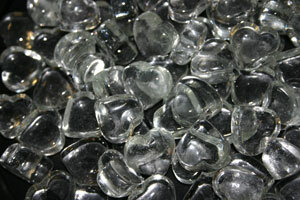 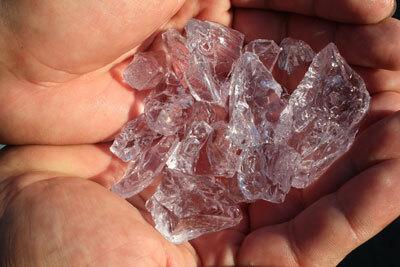 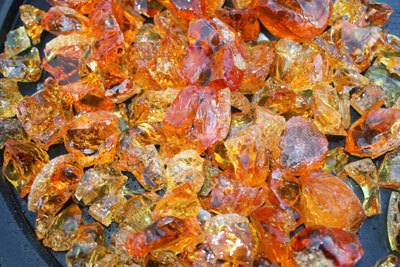 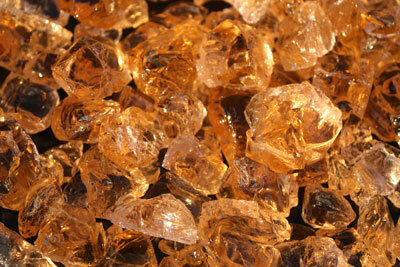 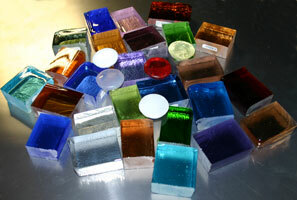 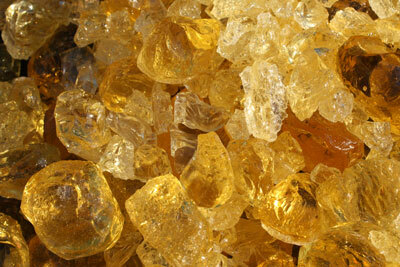 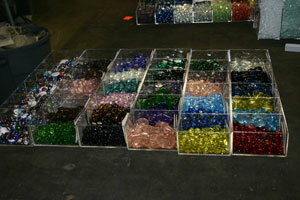 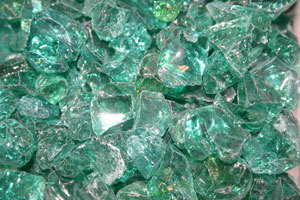 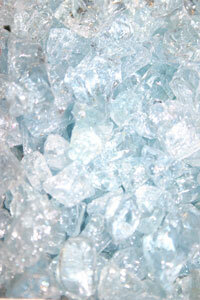 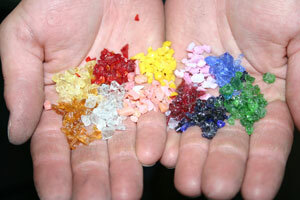 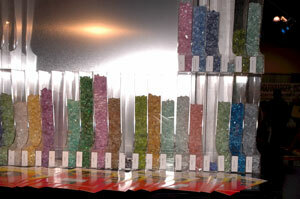 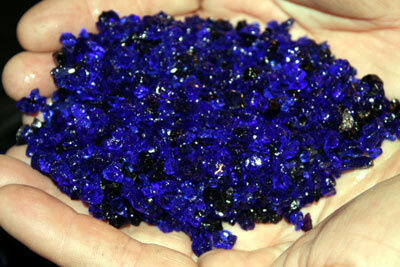 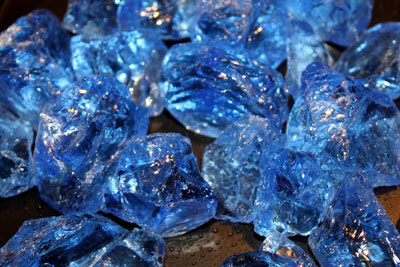 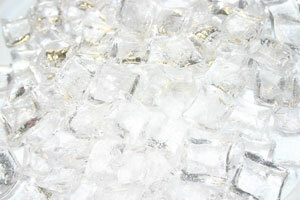 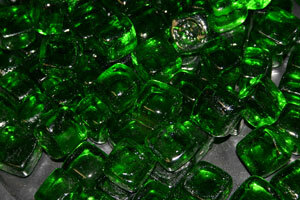 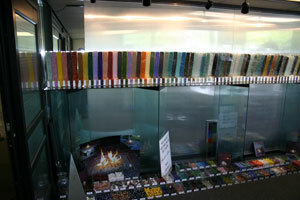 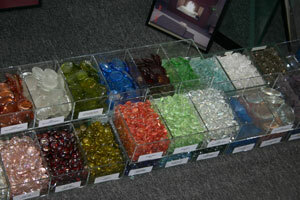 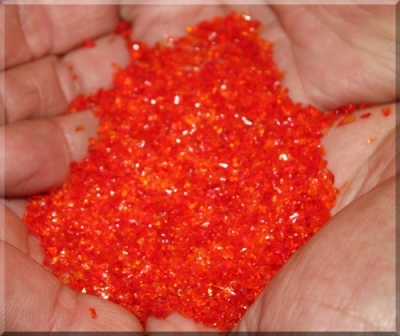 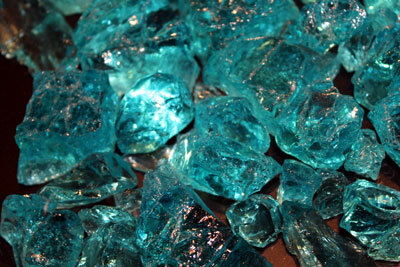 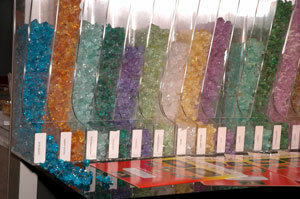 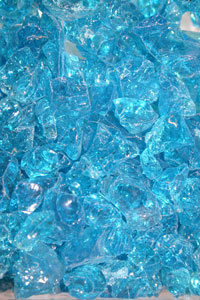 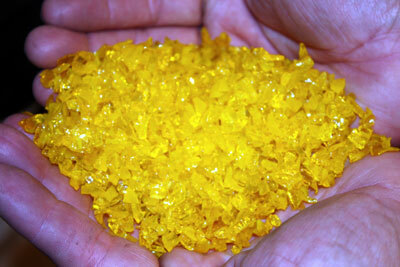 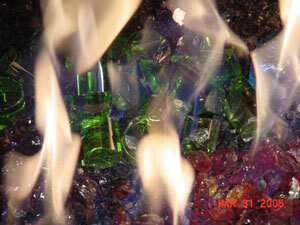 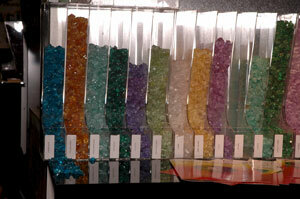 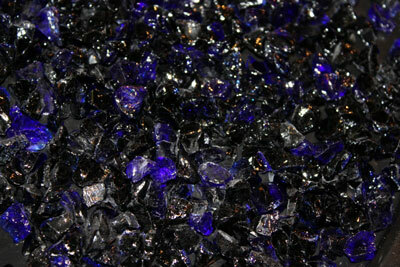 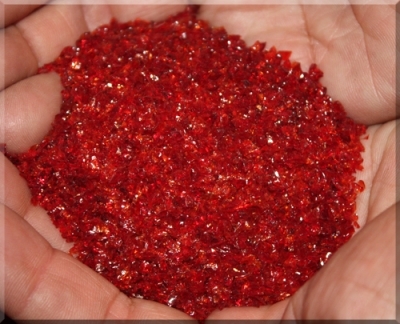 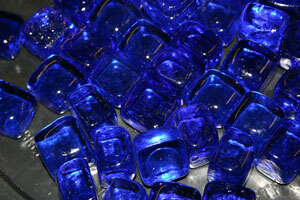 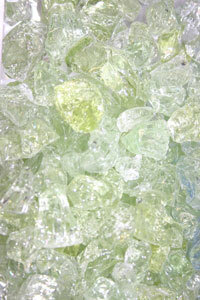 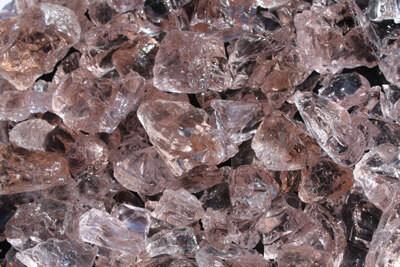 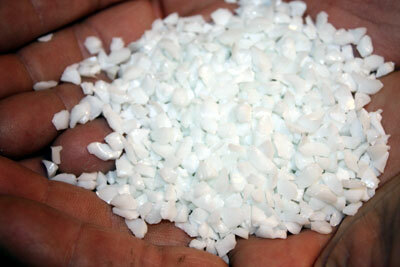 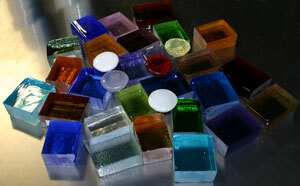 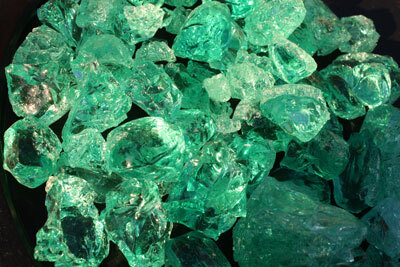 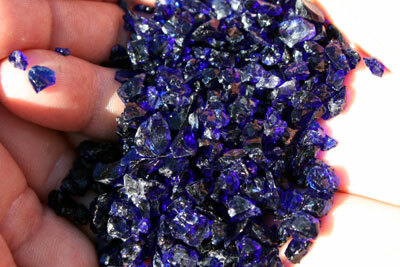 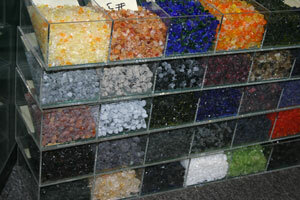 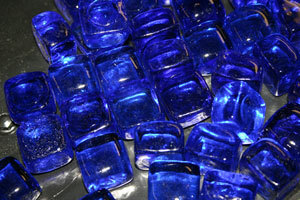 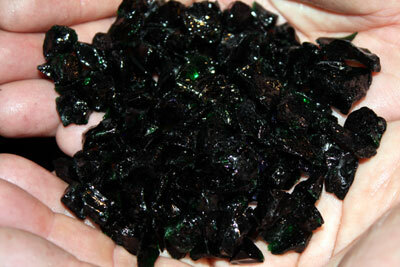 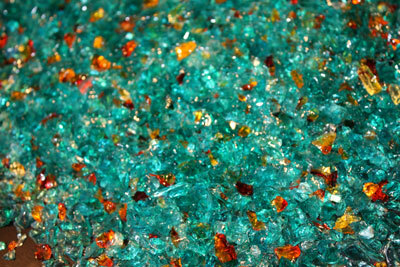 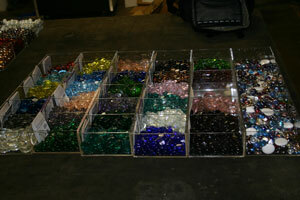 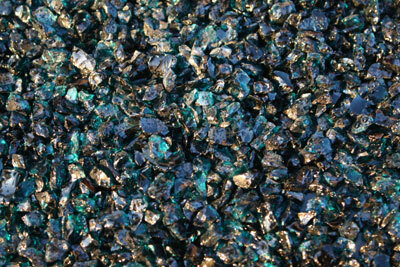 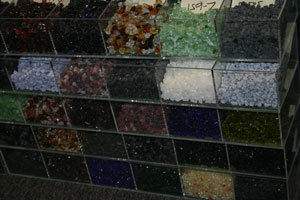 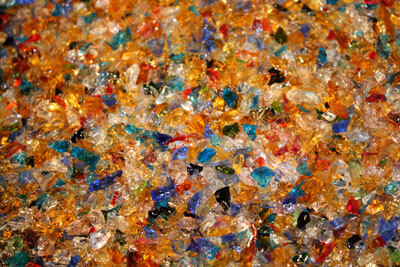 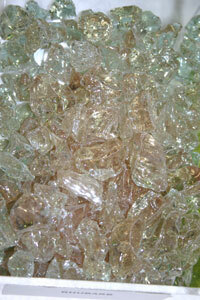 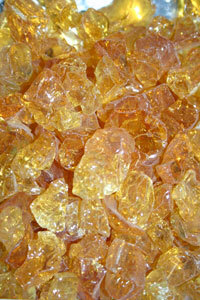 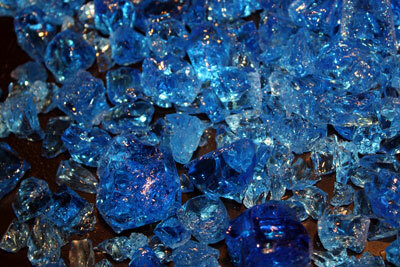 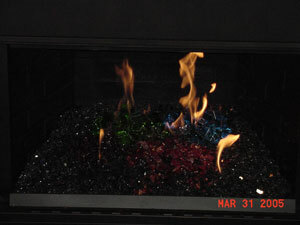 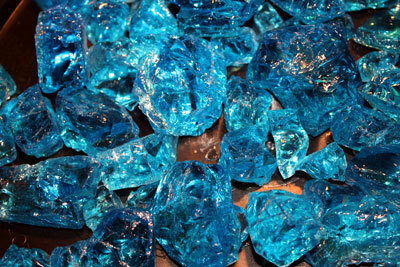 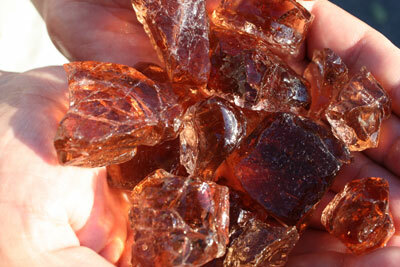 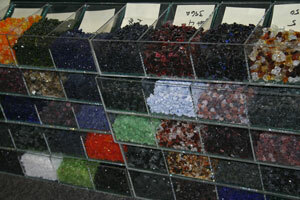 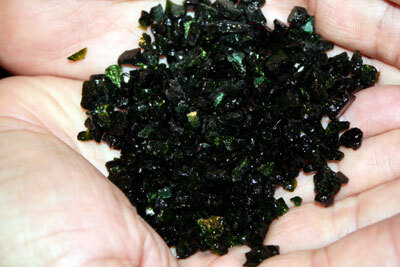 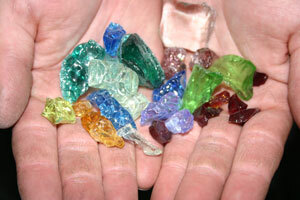 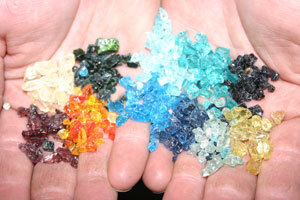 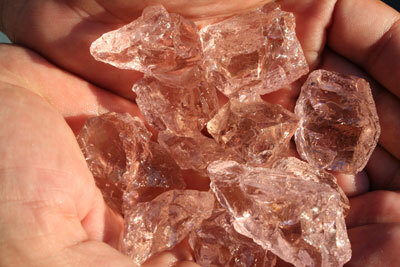 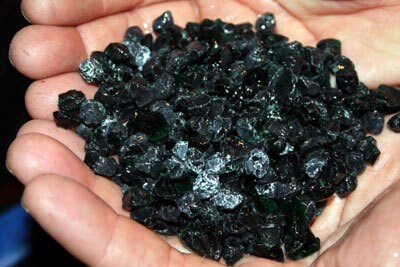 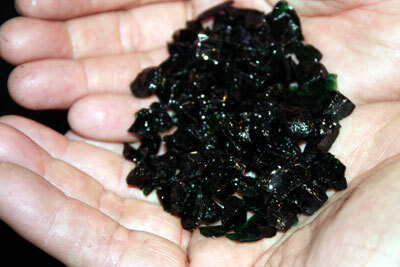 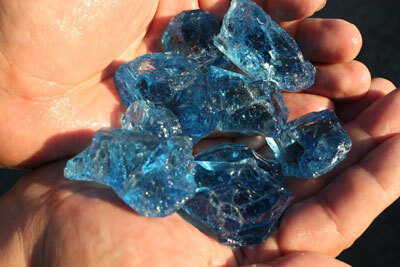 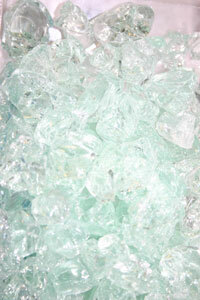 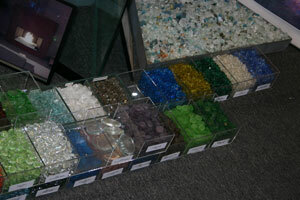 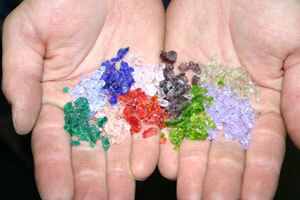 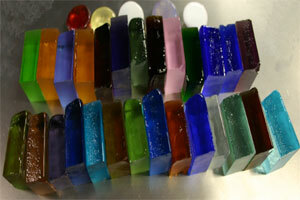 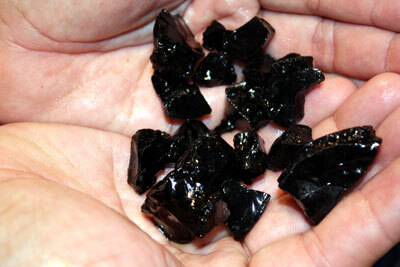 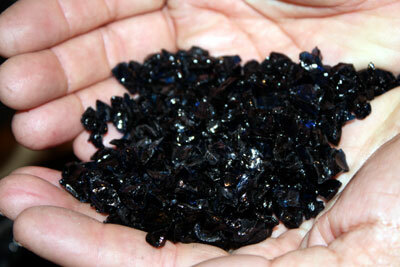 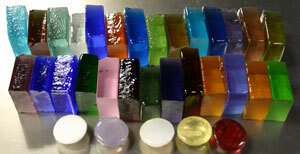 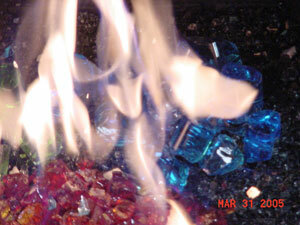 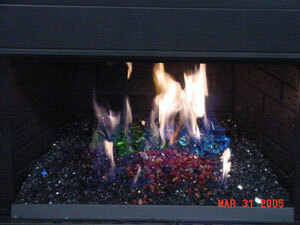 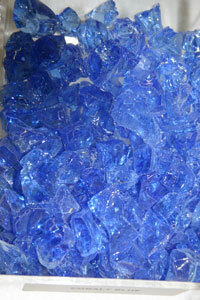 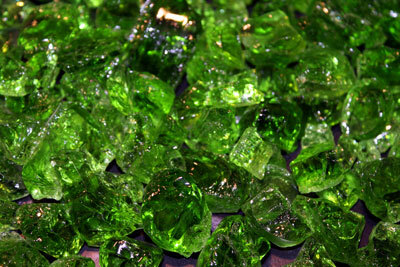 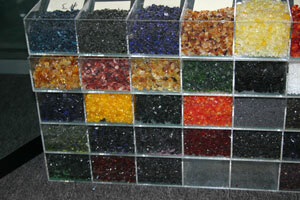 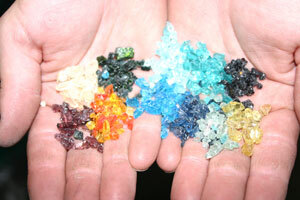 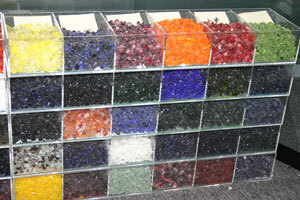 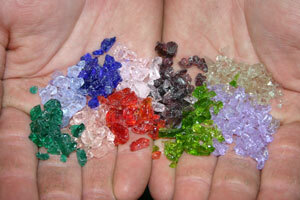 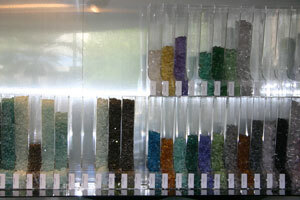 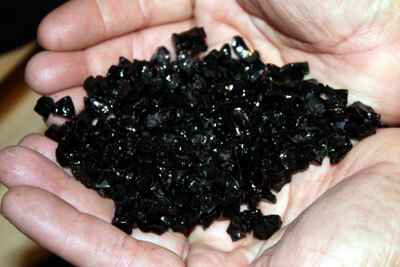 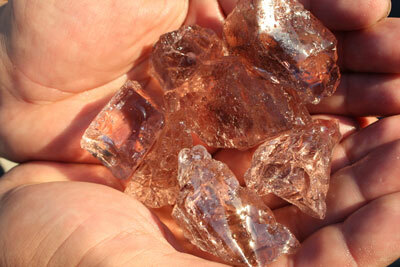 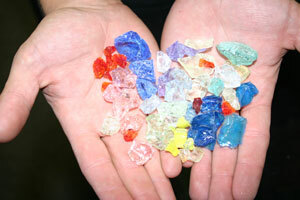 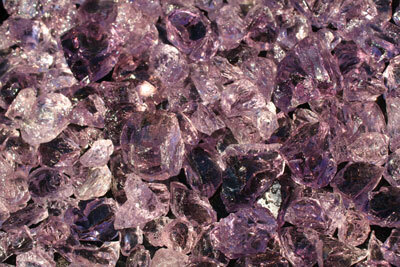 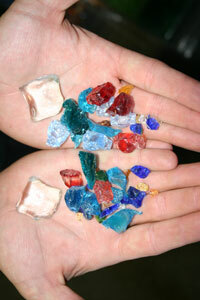 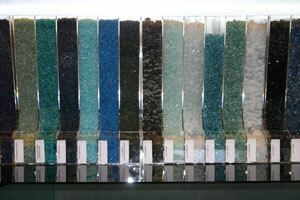 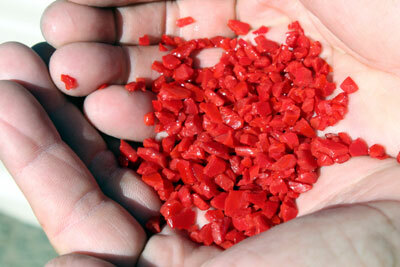 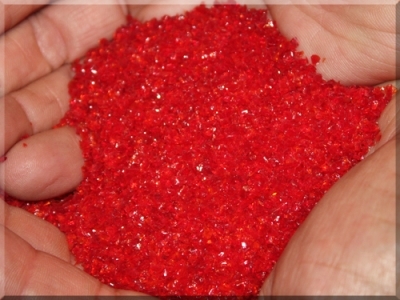 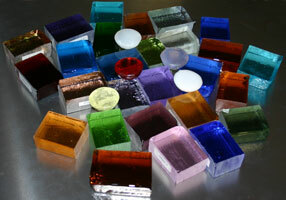 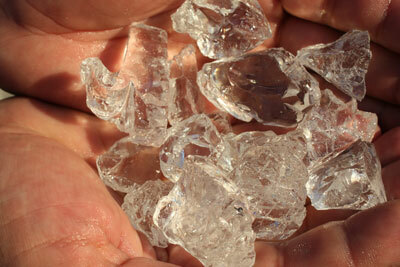 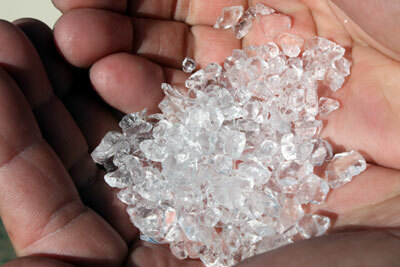 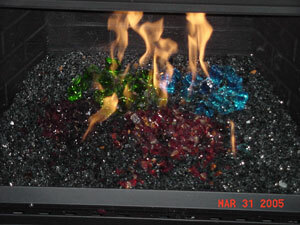 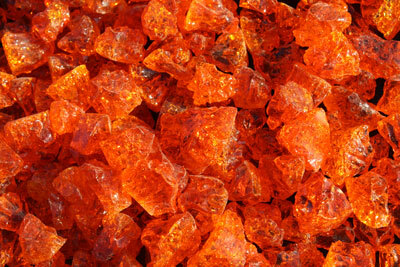 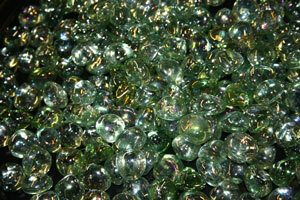 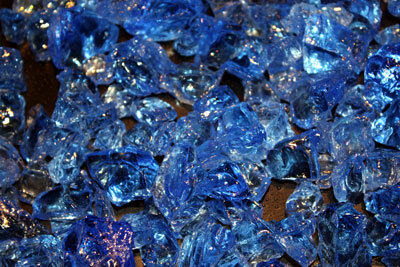 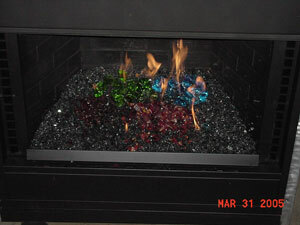 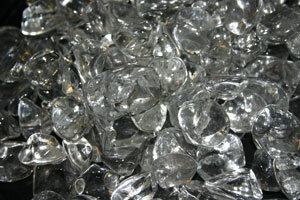 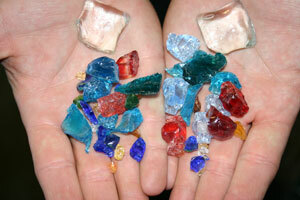 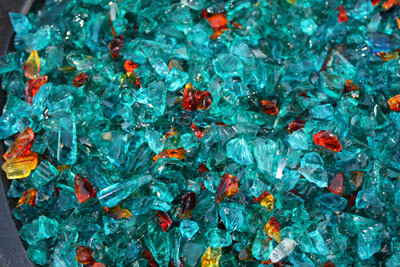 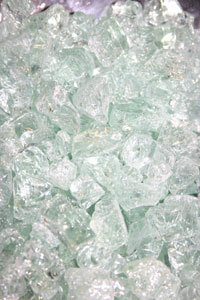 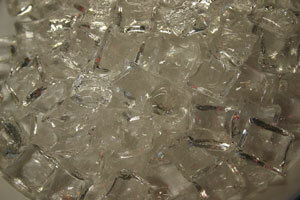 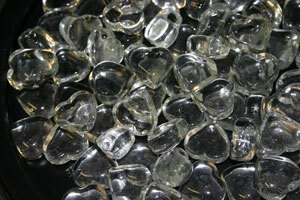 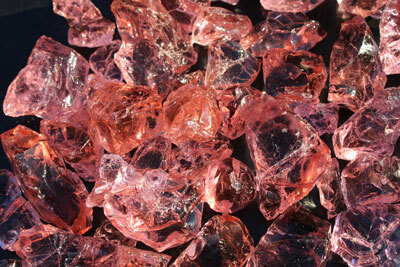 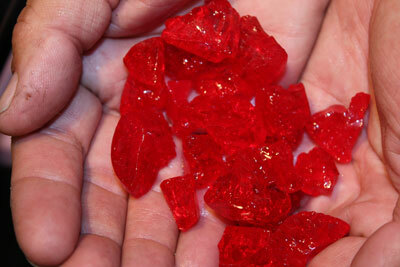 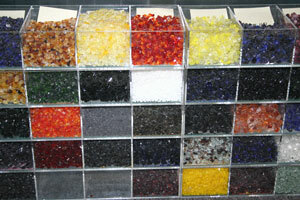 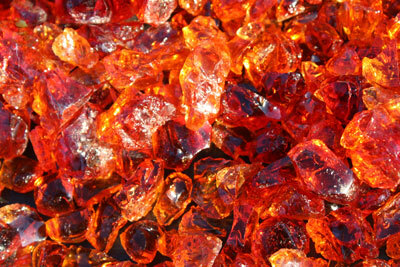 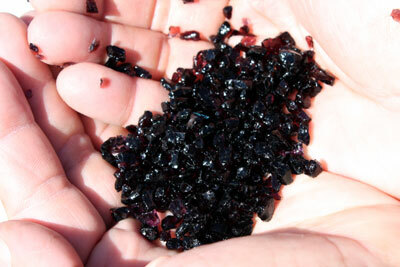 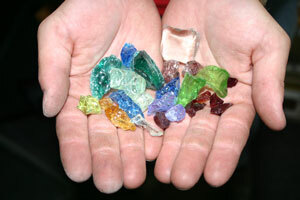 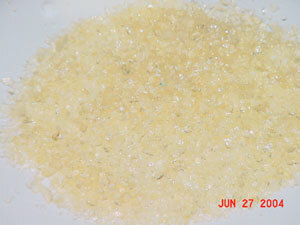 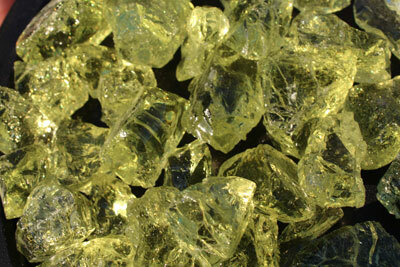 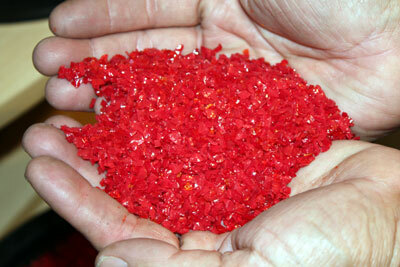 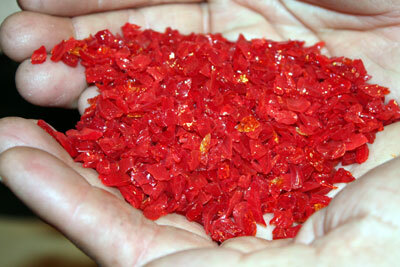 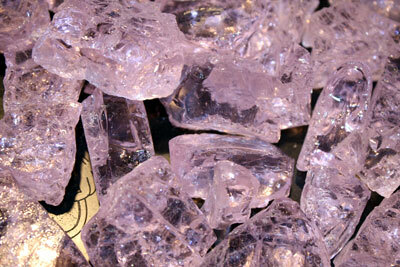 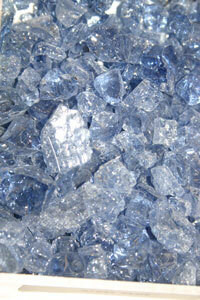 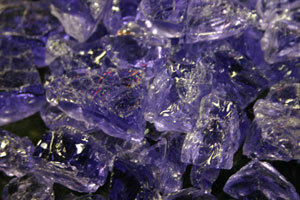 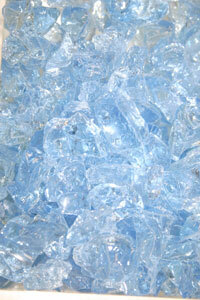 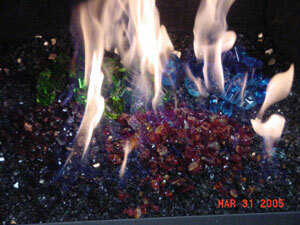 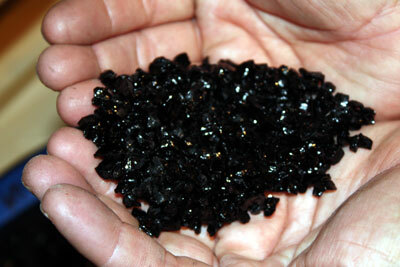 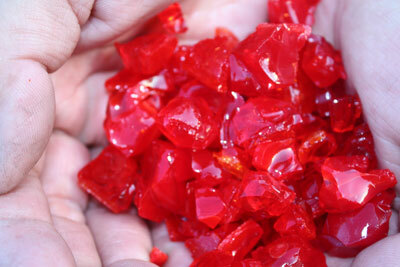 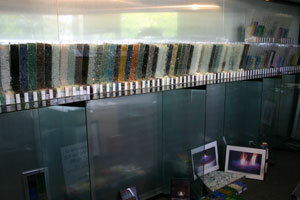 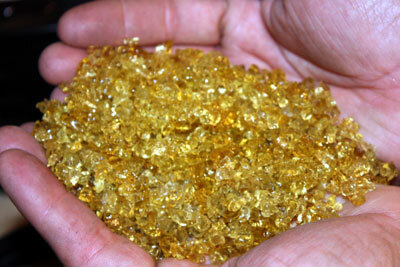 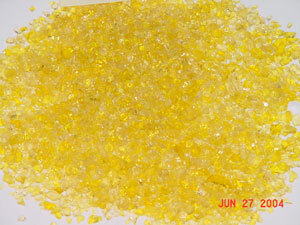 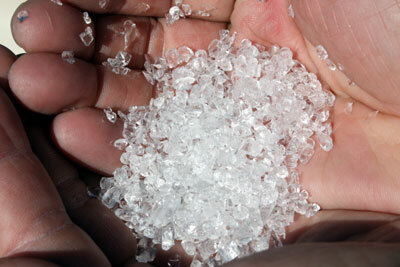 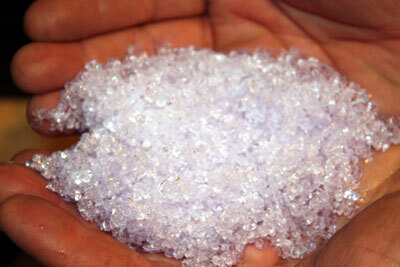 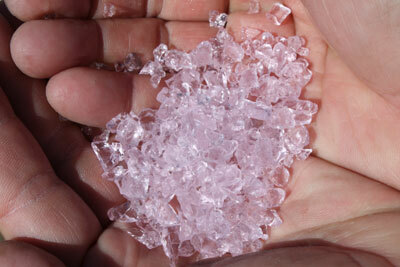 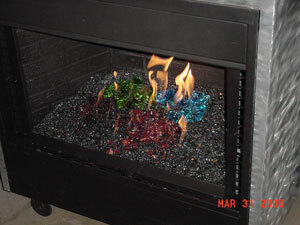 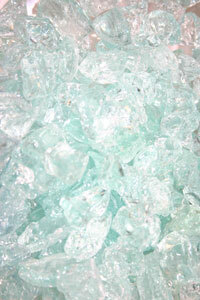 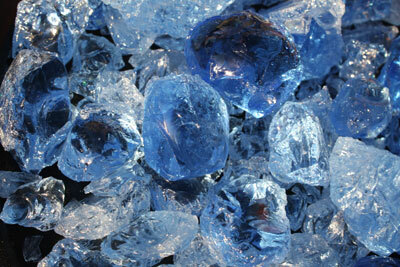 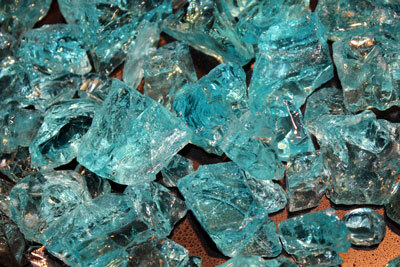 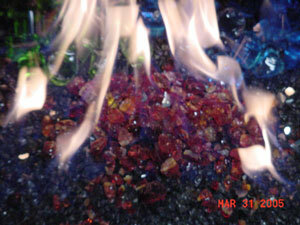 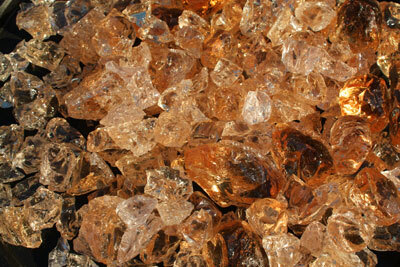 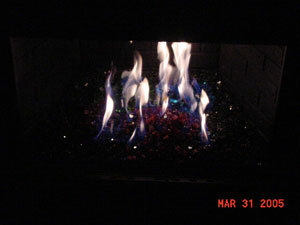 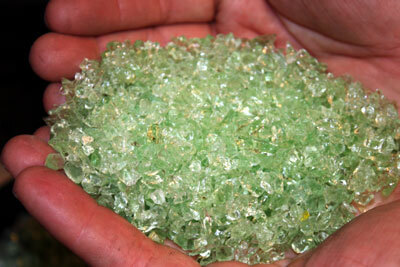 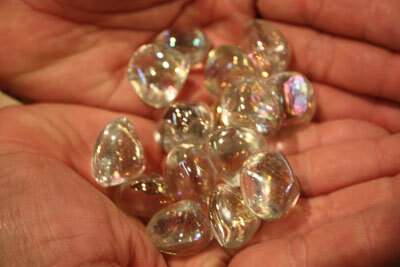 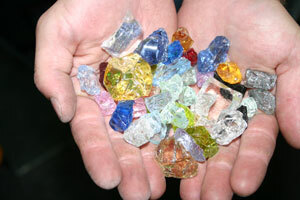 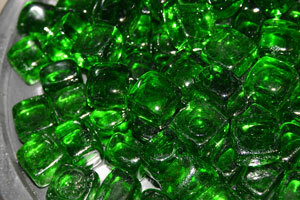 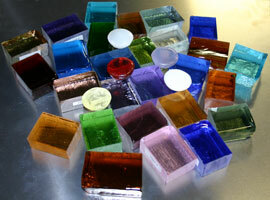 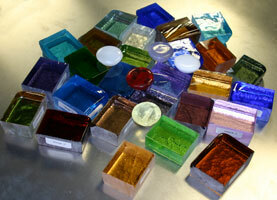 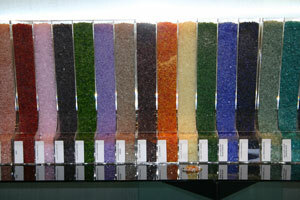 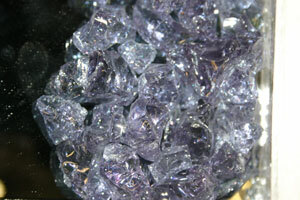 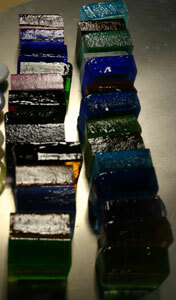 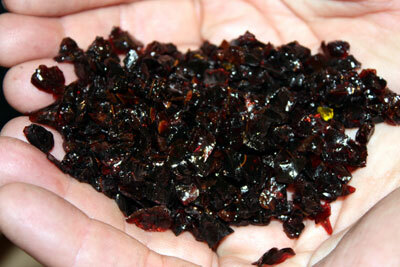 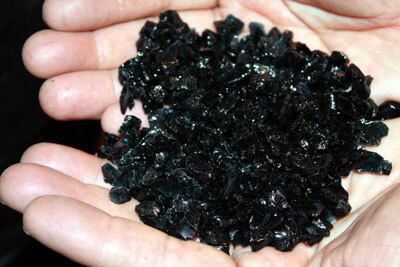 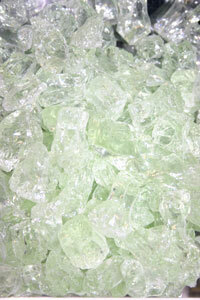 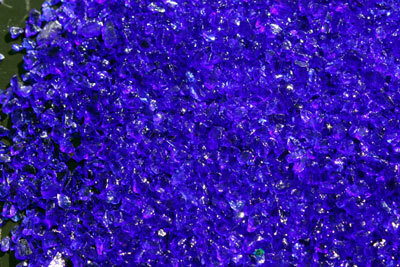 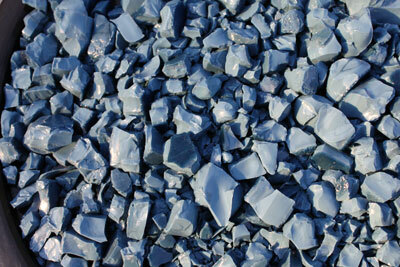 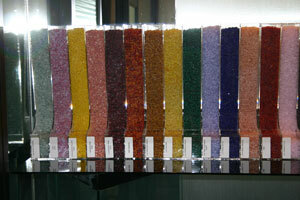 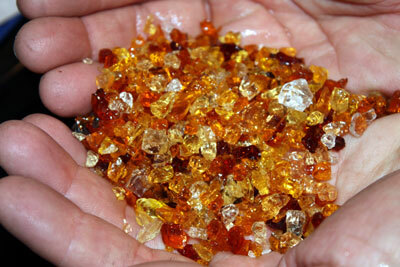 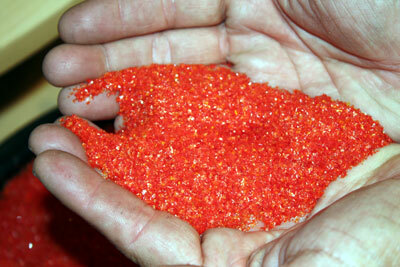 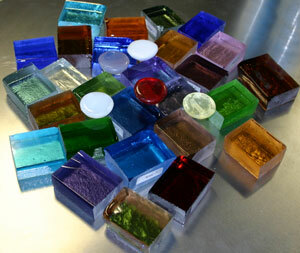 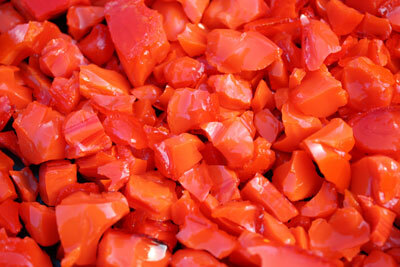 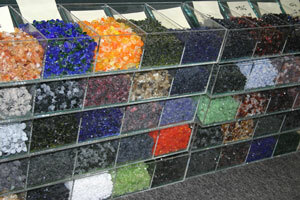 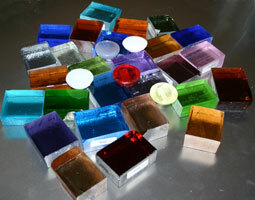 This is a new venture in making more fire rated glass for the fireplaces we help create. 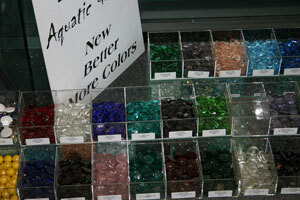 We have many more colors and shapes coming in the very near future. 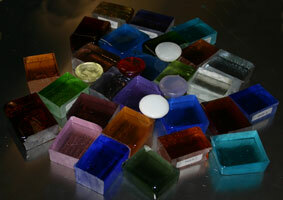 Here are a few pictures of our Toppers before we process the glass we make all of our toppers and toppings in billet form as you can see they are 1" to 1 1/2" thick at first pour, yes we do pour the glass into molds. 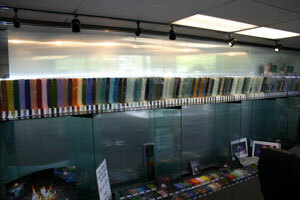 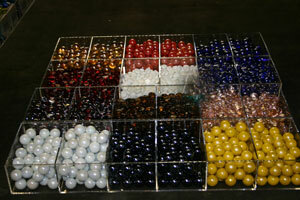 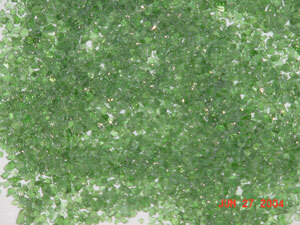 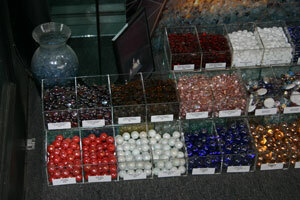 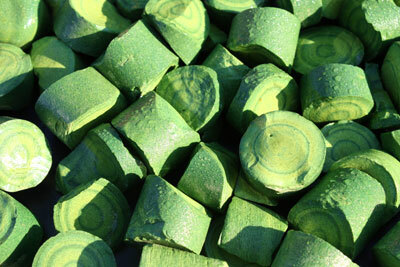 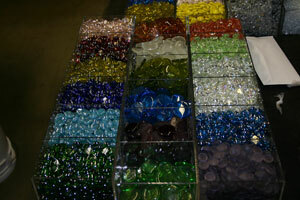 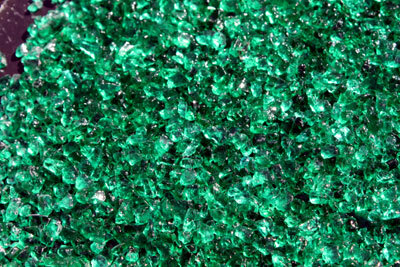 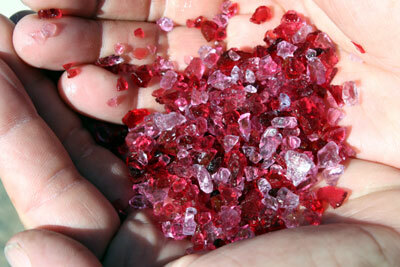 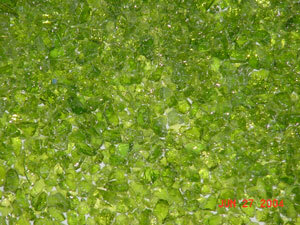 THE BILLETS/ GLASS BELOW ARE SOME OF OUR NEW COLORS COMING SOON! 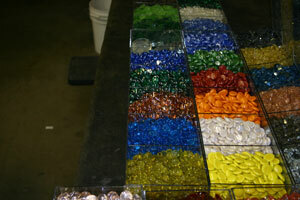 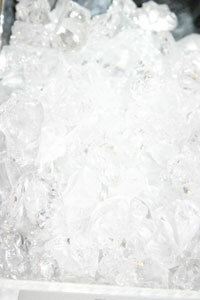 This is the first step of production.